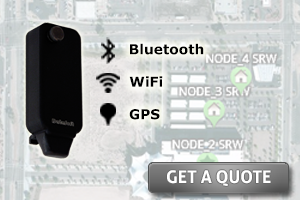 The SideBridge module provides a secure Bluetooth or Wi-Fi connection between a radio and a smartphone. The rugged module attaches directly to the radio and expands Personal Area Network (PAN) communications without the need for any wires. SideBridge connects the wealth of applications available on a standard smartphone or tablet including images, messaging and video — to the radio network. 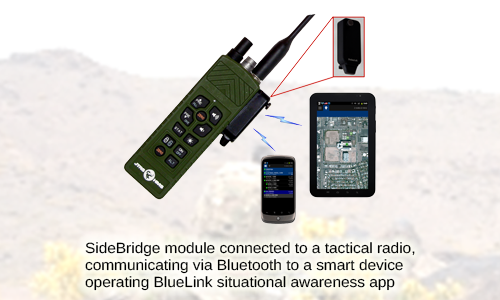 The SideBridge module is a low cost, easy to use solution enabling superior communications to tactical radio users. When connected to the Rifleman Radio (PRC–154/A), SideBridge LCD reads and displays radio status and configuration data such as the preset number, number of network nodes, battery level, GPS position, and volume level. The SideBridge LCD display eliminates the need to press a key or combination of keys to get the audible responses from the Rifleman Radio. All of the critical radio communication information is displayed on a 2.4” color touchscreen. SideBridge LCD offers an optional wireless and wired data connection to the radio. Users have the option to connect a smartphone over Bluetooth, Wi-Fi or on a rugged, wired USB and power connection. SideBridge RAP is designed to provide a ‘Secret and Below’ wireless data connection from the PRC–117G manpack radio. It’s ideal for vehicle and aircraft communications where multiple users with smartphones or tablets can connect securely to the radio network without the need for any wires. SideBridge RAP for the Black side of the radio can be used as a wireless communication link for configuring the radio. 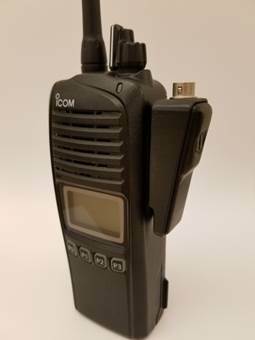 SideBridge Icom connects directly to the Icom portable land mobile radio and provides a Bluetooth connection to a smartphone or tablet. The SideBridge Icom eliminates the cumbersome cable with a cost-effective solution that enables the user to transmit data wirelessly over the radio network from their device. 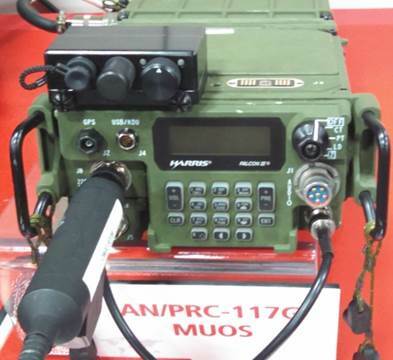 SideBridge Iridium connects directly to the PRC-154A Rifleman Radio to detect the status and configuration of the radio network and Position Location Information (PLI). When PLI transfer is not possible due to loss of radio network connectivity or radio failure, SideBridge Iridium automatically sends the PLI data through the Iridium satellite network. It provides a reliable backup that maintains the common picture of the location of friendly forces (i.e. Blue Force Tracking).